It's 20/12/2012 (at least the way we write it in the UK) and I've sold all my Catlin Group shares. This was my biggest high-yield dividend shareholding - and I rated it a HOLD back in February. So, what has changed - do I think, perhaps, that the end of the world is coming? In a way, yes. Hurricane Sandy shocked everyone by its ferocity and size. And it hit a heavily populated and affluent urban agglomeration. People with insurance policies, rather than poor people on a Caribbean island. 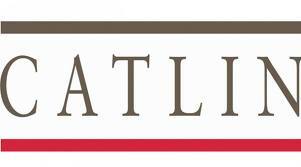 Catlin Group is a Bermuda-based insurance underwriter that is the operator of the biggest syndicate on Lloyd's of London. To quote their website blurb: "Catlin Group Limited is a global speciality property / casualty insurer and reinsurer, writing more than 30 lines of business. Our six underwriting hubs in London/UK, Bermuda, the United States, Asia Pacific, Europe, and Canada place us at the heart of every major insurance market." So it is big and diversified. But they deal in disasters and the announced expected loss on Sandy ($200m) comes at the top of the expected range with possibly more to come - and this loss will pretty much wipe out the profit this year. Strangely enough, the share price yesterday hit a five-year high and the yield is still over 5%. But dividend cover is extremely thin - and that is without taking these losses into account. So, what will happen to the dividend is anyone's guess. But that's not all. My portfolio continues to storm ahead and that has always in the past been a precursor to a sharp correction in the markets. So now seems to be a good time to cash in some of my chips. Have you looked at some of the new investment trusts playing the CAT bond / reinsurance market? They are often targeting 5% yields, but should bear less equity market risk than the likes of Catlin. I know your views on global warming might put you off, but I guess if the returns from writing the reinsurance is high enough, it takes a number of catastrophes to be unprofitable. I've recently come across your site and would like to thank you for crystalising some of the myriad investment thoughts, feelings, truisms etc that float around the investor. I'm working my way through your ebook (a contribution will be forthcoming - thank you for that as well) and am quite startled to realise how true some of your statements are - even though it might not occur to us at the time. I like your reading of the CGL situation and have been sufficiently convinced to sell my holdings there as well.